Rider diary entry number 15 comes from Denzel Stephenson. 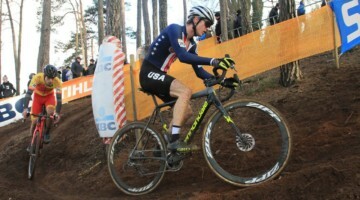 While Stephenson is at the USA Cycling Cyclocross Development Camp for the first time, his invitation to attend cross camp was likely based at least in part on his podium finishes this season at Cycle X Boulder, the US Open of Cyclocross, the Derby City Cup, Cycle X Louisville and at SOCO Parker Cross and Littleton editions, amongst other strong rides. 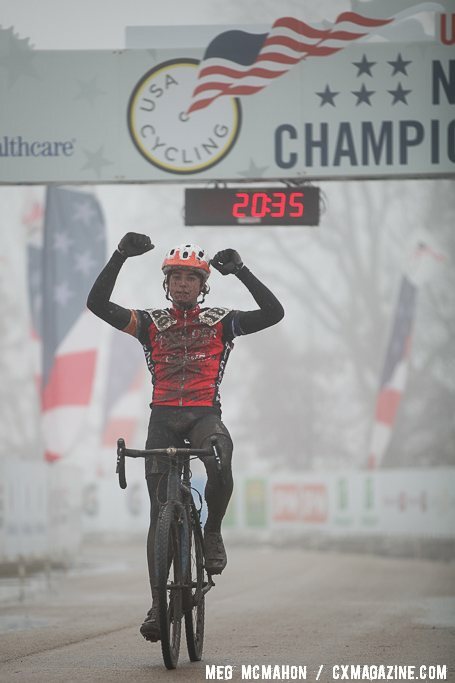 Here, Stephenson tells us about his ride at Azencross as part of the Junior Men’s squad. 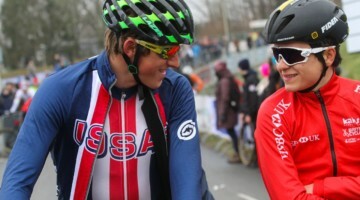 You can read all the rider diaries from Cyclocross Development Camp here. This was my very first trip to Europe to race. I had been here before to visit my Grandparents in Germany but I didn’t do any riding while I was here. How things change. 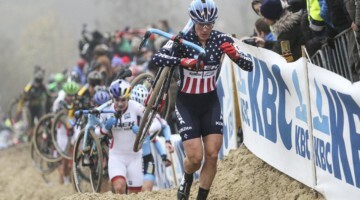 The race in Loenhout was a very good day for Team USA. We had four riders in the top ten, and the other members had strong rides too. I had a pretty good day and was able to get the holeshot and lead the race until I crashed on one of the slippery corners. As a result of that crash, I got gapped a little by the front of the race and had to catch up. I was able to hang with them for the first couple of laps, but near the middle of the race, I got passed by a couple Belgian kids and they slowed me down and the lead group got away. 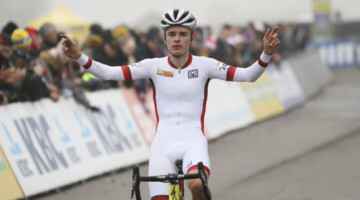 In the end though I was able to pass those kids back and finish in eighth place and that was my best result in a European race. So I’m happy with how it turned out. On our last night we had to pack up all our bikes and bags and get ready to leave to the airport in the morning. This trip has felt like it went by really fast, and it seems like we arrived here just a few days ago although it’s been two whole weeks. 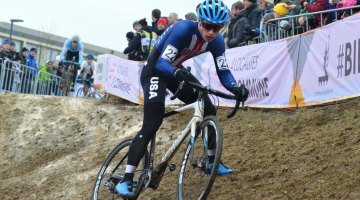 I’ve had a really fun time training and racing in Europe with the fastest kids in the world and living like a pro cross racer for two weeks. My favorite part of the camp was that we had awesome mechanics to dial our bikes. This made it super easy for us to focus on getting ready for the races. This camp has been a huge learning experience and I’m looking forward to more trips with USA Cycling. Missed a diary entry from cross camp? Read all the rider diaries here.